Follow the Rojiblancos as they step on the Wanda Metropolitano pitch in the Atlético de Madrid Anthem Jacket. Built for pre-game comfort, the brushed fabric jacket has a flexible fit with invisible thumb loops, allowing unrestricted performance while warming up. 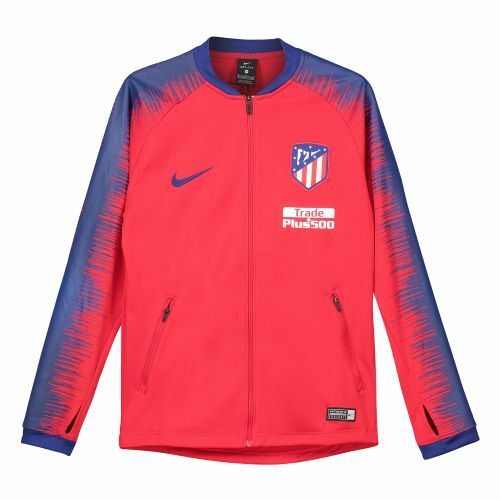 Flexible silicone ink on the sleeves stretches with the fabric to keep the Atlético graphics clear.